So, the Doctor has yet to survive his trip home to Gallifrey (ie the current series 9 is still on, and Hell Bent is yet to screen), and already we have pictures from the Christmas special. 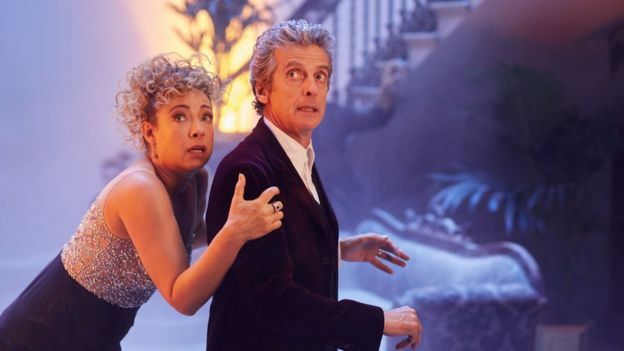 So, River Song is back and we also have two comedians — Matt Lucas and Greg Davies. Plenty of initial detail in this news item: Doctor Who: Matt Lucas and Greg Davies join Christmas special. I assume the idea is to entertain on Christmas Day rather than continue the dark mood of the current series. No doubt more teasers to come!